Elek Gyori was born in Tiszaladany in 1905. The "Artists" exhibition was introduced to the public in 1934. In 1940 he enrolled at the College of Fine Arts. A few months after the study was discontinued. 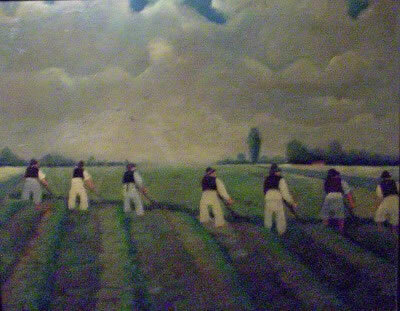 His painting has always been prepared for rural life experiences. His paintings until the today's day requested the natural is beaming from them. 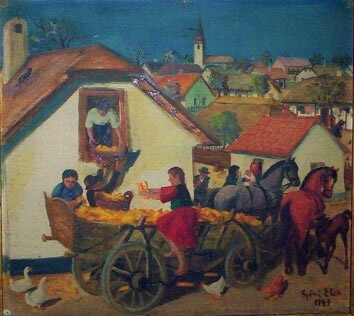 Elek Gyori was one of the first Hungarian naive painter.Title of picture:"Porta" is collection of the ROSE Naive Art Gallery.